Representations of the Ripple, Bitcoin, Etherum and Litecoin virtual currencies are seen on a PC motherboard in this illustration picture, February 13, 2018. The European Council, which represents EU national governments, on May 14 approved stricter rules to prevent money laundering and terrorist financing. The rules include provisions to make it harder for users of virtual currencies such as bitcoin to remain anonymous. Under the new rules, which EU member states will have to transpose in national legislation, providers of cryptocurrency exchange platforms and custodians of wallets that can hold virtual money will have to verify the identity of users. 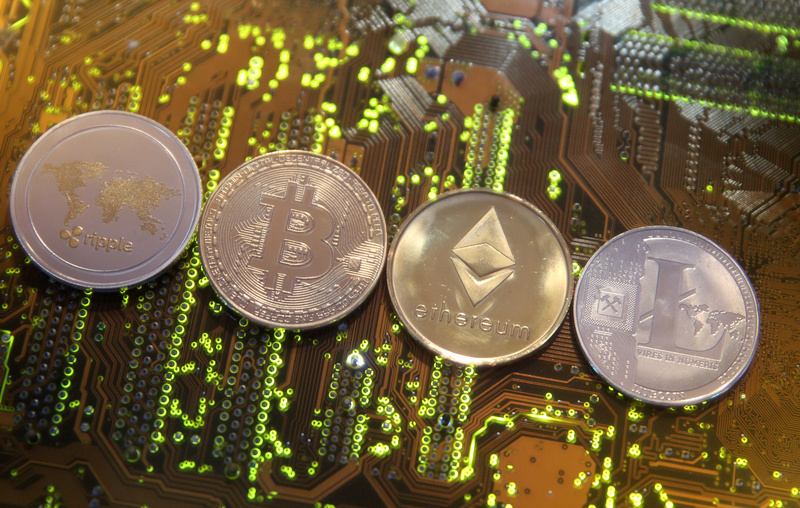 The Financial Action Task Force, a global anti-money laundering body, has expressed concern about the use of virtual currencies as a means of financing terrorism and Islamic radicalisation. The market for virtual currencies reached a peak of $432 billion earlier this year, Reuters reported on May 14, citing European Central Bank governing council member Yves Mersch.